A state group looking at the suicide of a young foster child met Thursday to discuss ways to improve care and listened to adults who said they were overmedicated in the foster-care system. 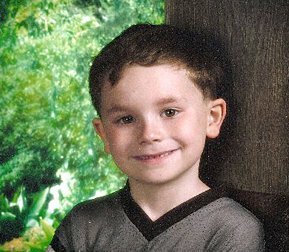 Gabriel Myers, 7, hung himself in the bathroom of his Margate foster home in April. As Florida child-welfare administrators study failures in the foster-care system believed to have led a 7-year-old boy to kill himself in April, they turned Thursday to experts they don't often consult: young adults who came of age in state care. Mez Pierre, 22, and Kimberly Foster, 25, both from Broward County, told the group that mental health drugs -- already at the center of the investigation of Gabriel Myers's tragic death -- aren't the answer for many foster youth. Children need caring adults who will look at the causes of their difficult behavior, they said -- not simply write prescriptions in an attempt to control it. Foster said doctors prescribed medication when she got upset about being removed from her home. She was ultimately placed in facilities with locked windows and restraints. Florida Department of Children & Families (DCF) administrators and child advocates who formed a work group to study Gabriel's death held their third meeting Thursday in Fort Lauderdale. Gabriel hanged himself in the bathroom of his Margate foster home in April. He had been prescribed several psychiatric drugs during his nine months in foster care. Workgroup members spent much of the day talking about issues such as how to improve communication between various professionals who care for foster kids. The leaders discussed various forms and documents collected for each child, and the potential roadblocks in gathering the data -- sometimes as simple as a fax not going through. Anne Wells, pharmacy director for the state Agency for Health Care Administration, questioned how some of these efforts will help children in foster care. .
Wells also questioned whether administrators were too quick to blame medication for Gabriel's death, rather than talking about what led to his being medicated in the first place. But both Pierre and Foster told the group that they were over-medicated as foster children. Gabriel 'wasn't being cared for. He was just told `you have problems,' '' Pierre said. Pierre added that he was first prescribed medications when he entered the foster-care system at age 5. He was given multiple pills and various diagnoses, including attention deficit/hyperactivity and bipolar disorders. Today, Pierre is doing what many told him he couldn't do: living a successful life without medications. Pierre, who lives in Deerfield Beach, said he has a job, attends Broward College and hopes to become a lawyer. The Miami Herald is pleased to provide this opportunity to share information, experiences and observations about what's in the news. Some of the comments may be reprinted elsewhere in the site or in the newspaper. We encourage lively, open debate on the issues of the day, and ask that you refrain from profanity, hate speech, personal comments and remarks that are off point. In order to post comments, you must be a registered user of MiamiHerald.com. Your username will show along with the comments you post. Thank you for taking the time to offer your thoughts. The Miami Herald Web Search powered by YAHOO!